Organisational Behaviour: Emerging Knowledge. Global Insights. 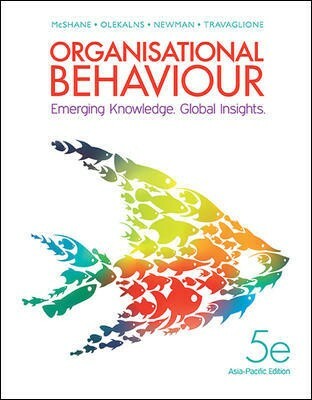 The fifth edition of Organisational Behaviour: Emerging Knowledge. Global Insights continues to be both relevant and engaging while providing clear explanations of emerging OB theories and concepts. A range of practical examples prepare students for the changing global business environment. Individual, Team and Organisational processes taking into account self-concept, social networking and the need for creativity in organisations, as well as considering the business-wide issues including sustainability and business ethics, are covered in depth. Numerous real-life anecdotes are spread throughout the book illustrating how adopting a global mindset has become an important employee characteristic in this increasingly interconnected world. Interesting and thought-provoking real-world examples throughout the text illustrate concepts and motivate students to engage with the book's content. The book maintains a strong Pacific Rim focus while simultaneously presenting OB practices and anecdotes of international significance. Organisational Behaviour: Emerging Knowledge. Global Insights pioneers the view that OB is not just for managers; it is relevant and valuable to anyone who works in and around organisations.